Conasys and Monarch Corporation are set to continue their long-term relationship with the delivery of a new type of online experience for homeowners in Monarch’s three new condominium developments. [our partnership with Conasys] will allow us to continue improving upon our homeowner care initiatives, an aspect of our corporate philosophy that we hold in the highest regard. One of Canada’s oldest, largest and most respected builders, Monarch have become synonymous with impeccably constructed high-rise developments in the Greater Toronto Area, where they have been crafting award-winning communities for over 95 years. Since first entering the high-rise sector in 1995 they have delivered more than 30 multi-unit developments, and over 10,000 units. Their latest projects, Waterscapes, Garden Court and Yorkland are typically Monarch in that they flawlessly combine both form and function. Waterscapes and Yorkland are high-rise developments, comprising 344 and 402 units respectively, while Garden Court is a boutique, mid-rise development of 186 units located in the heart Cathedraltown, a highly sought-after area of Markham. While Monarch’s commitment to impeccable design and construction is nothing if not impressive, it is equaled by their commitment to homeowner care. Monarch is widely considered the benchmark ‘gold standard’ when it comes to homeowner care, not only in the GTA but throughout Canada; as if proof was needed, almost 45% of their homeowners currently reside in their 5th or 6th Monarch-built home. A key component of their outstanding homeowner care initiatives has been the addition of the industry-leading Conasys platform that has underpinned 3 of their most recent developments, Encore, Couture and Ultra. The interactive platform allows Monarch homeowners to better understand and maintain their home by giving them access to key property information such as warranty details, operating manuals and even paint codes. It is also designed to send reminder emails when recommended maintenance falls due, and comes with an equally comprehensive builder-specific portal. 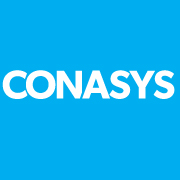 About CONASYS: CONASYS Inc. (http://www.conasysinc.com Twitter: @CONASYS) is a forward-thinking technology company whose cloud-based platform, designed for new home builders and developers, arranges home-specific property information into an interactive portal that allows homeowners to better understand, maintain and enjoy their home. Their interactive Building Care Solution facilitates key building processes including documentation storage and maintenance scheduling. Since their inception in 2006 they have built a client portfolio of over 400 builders and real estate developers and have brought over 40,000 homes online. About Monarch: Headquartered in Toronto, Canada, Monarch is one of Canada’s oldest and largest homebuilders. Monarch has consistently been recognized in the homebuilding industry and by its customers for superior quality and outstanding customer satisfaction. Monarch builds and develops single family detached and attached homes in Toronto and Ottawa and builds high-rise condominiums in the Greater Toronto Area. Monarch focuses on style, design, quality and livability in all of its homes and is the Canadian brand of Taylor Morrison Home Corporation. For more information on Monarch, please visit http://www.monarchgroup.net or http://www.taylormorrison.com.